At the outset, I should like to extend, on behalf of my delegation, our congratulations on your assumption of the Presidency of the Security Council during the month of February, and to wish you every success in guiding the work of the Council to a successful conclusion. We wish to also express our appreciation to your delegation for initiating today’s debate, aimed at developing a comprehensive, coherent and integrated approach to security sector reform. My delegation attaches great importance to the concept of security sector reform as it constitutes one of the key elements in the restoration of peace, stability and normalcy in post-conflict settings. We therefore note with satisfaction the increased level of awareness among the general membership of the United Nations and the international community on security sector reform. As a country emerging from more than two-decades of armed conflict, Afghanistan is well aware of the importance of security sector reform (SSR) in ensuring security, recovery, development, as well as improving human rights and the rule of law in post-conflict countries. Security sector reform has served as the lynchpin to the entire state-building process in Afghanistan. 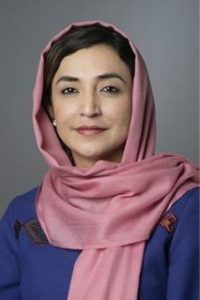 The process has been also the flagship of the international engagement in rebuilding Afghanistan’s security forces and law enforcement agencies. The reform process in Afghanistan has consisted of five pillars, each supported by a lead country in the following areas: military reform, police reform, counter-narcotics, judicial reform, and the disarmament, demobilization and reintegration of former combatants. 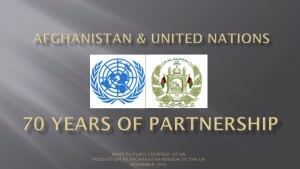 The disarmament, demobilization and re-integration (DDR ) process, launched in October 2003, marked the beginning of the security sector reform process in Afghanistan. In accordance with the mandate of the program, more than sixty thousand former combatants were disarmed and demobilized with a view to creating an environment conducive for the implementation of the SSR and reconstruction process in the country. As the second phase of our reform process, we embarked upon the disbandment of illegal armed groups, aimed at disarming military units not registered with the Ministry of Defence. We remain committed to conclude this process by end of 2007 with the support of our international partners. SSR has not only facilitated improvements in the security environment, but also served as a precondition for the formation of our national army and police. Over 35,000 soldiers of the national army and 62,000 officers of the national police have been trained. Our goal is to reach target strength of a 70,000 standing army and 82,000 police force by the end of 2008. Moreover, additional reforms in the ministries of Defence and Interior have constituted the main components of the SSR process in Afghanistan. In this regard, a number of steps have been taken to implement institutional reforms to achieve greater professionalism and ensure adherence to democratic principals, such as accountability, transparency and respect for human rights. Despite our progress, we continue to face significant challenges in strengthening the capacity of our security institutions. Lack of resources, modern equipment and low salaries of soldiers have had a drastic impact on the effectiveness of both the national army and police to address the prevailing security challenges in the country. We therefore are of the firm conviction that a sustained level of international engagement in building the capacity of security institutions in post-conflict countries should constitute an essential component of a successful security sector reform process. I would like to seize this opportunity to express our appreciation for the unwavering support of the international community in assisting the reform process of our security institutions. In this regard, we welcome the recent pledge made by the United States of America to increase its assistance to enhancing the effectiveness and capacity of our national army and police. SSR will be a long-term process in Afghanistan. It has served as a means to confront our immediate security challenges. Continuing terrorist attacks conducted by terrorist groups whose sanctuaries are located outside Afghanistan, coupled with the nexus between insecurity and the narcotics trade represent the main challenge to a successful security sector reform process in Afghanistan. In this connection, I would like to acknowledge the pivotal role of the NATO-led International Security Assistance Force in the implementation of SSR in Afghanistan. On the basis of our experience and lessons learned, we would like to refer briefly to some of the issues contained in the concept paper distributed by the Presidency. First, we must be cognizant of the fact that security sector reform is an endeavour that will be achieved over many years. There is no quick fix solution. Reform of the security sector is not just about disarming former combatants or the “training and equipping” of new army; rather it is a long-term process that requires a particular focus on development. The objective should be to transform former combatants into civilian life. In this regard, it will be of paramount importance to facilitate the provision of long-term income generating projects. Doing so will prevent former combatants from resorting to illegal activities. Secondly, we are of the view that national ownership is an essential component of a successful and sustainable security sector reform process. As in the case of Afghanistan, SSR has taken place on the basis of consensus among all segments of Afghan society. Indeed, without the lead role and cooperation of the country concerned, efforts to achieve a successful reform process will risk failure. Thirdly, we stress the need for enhanced coordination between the relevant organs and agencies of the United Nations and other international actors view to achieving a comprehensive, coherent and integrated approach to security sector reform. In this respect, my delegation would welcome the preparation of a report by the Secretary General covering existing UN related activities on security sector reform and a concrete set of recommendations for the future action. Finally, we believe that security sector reform should be addressed as part of an overall strategy to ensure a lasting peace and stability in countries emerging from conflict. Equal attention must be accorded to building and strengthening state institutions and enhancing the rule of law and good-governance if we are to achieve a successful transition from conflict to peace in post-conflict countries.